We hear about the success stories of transplanting - translocating in technical talk - animals to protect endangered species, improve genetic variability and reestablish populations in areas where they've disappeared. Among those successes: moose reintroduced into Michigan's Upper Peninsula from Ontario in the 1980s and the Florida panther. The process is called augmentation, and the goal is for translocated individuals to deepen the gene pool and produce abundant offspring. It's been labeled a valuable tool for conservation biologists. We also hear about translocation controversies, including whether the National Park Service should reintroduce wolves onto Isle Royale now that virtually all the national park's wolf population has died. We don't hear much about the failures. Now a study published in the March/April 2017 issue of the journal Conservation Letters has examined one such project that fell short of the hopes of conservation biologists -- the translocation of American martens (Martes americana) into Wisconsin's Chequamegon National Forest. Martens are North America's most frequently translocated carnivore, with projects in 16 states and six provinces from the 1800s until the present. They were wiped out in most of the Great Lakes region after European colonization and later re-established in some states. Efforts to restore Wisconsin's marten populations began in the Apostle Islands in the 1950s in a bid to restart the fur trade, said lead author Philip Manlick, a doctoral student in the Department of Forest and Wildlife Ecology at the University of Wisconsin-Madison. 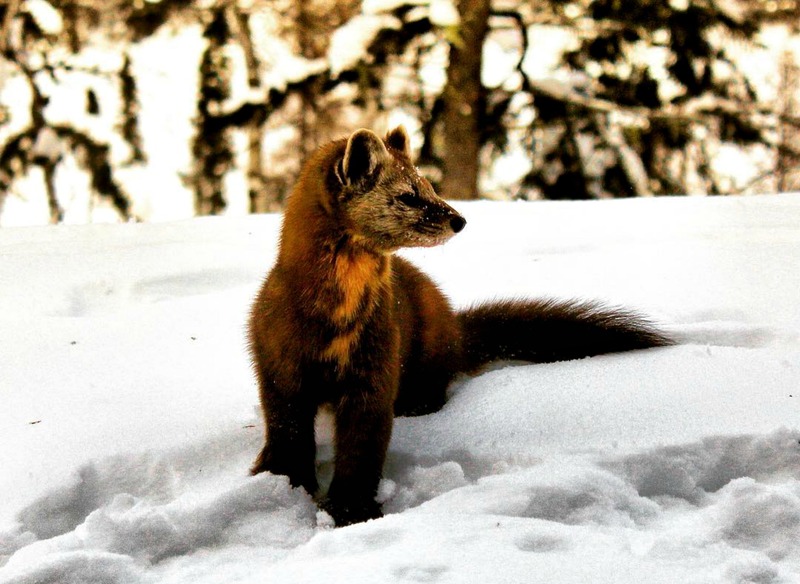 Several factors contributed to the decision to rebuild marten populations, he said, including a desire to rebuild the fur trade for economic purposes and a "general understanding that apex predators do serve important ecological functions." 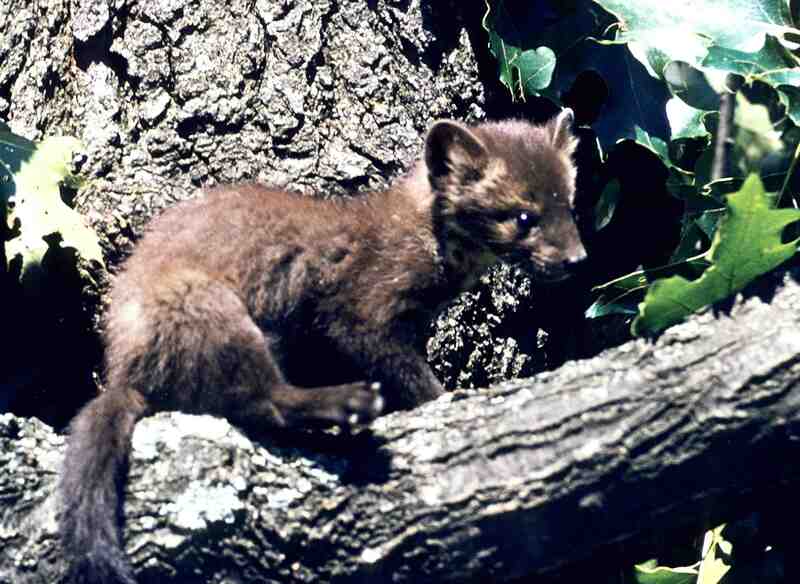 In addition, the marten is a culturally important clan animal to Native Americans in the state. They remain on Wisconsin's list of endangered species - as the state's most endangered mammal - despite extensive restoration activities, according to the study which looks at one such effort: moving 130 martens from Superior National Forest in Minnesota to northwest Wisconsin's Chequamegon National Forest between 1987 and 1990. "We've done five or six reintroductions across 40 years," Manlick said. "It doesn't look like it. Densities are pretty low. The propensity of extinction is still pretty high," said Manlick, whose research partners were the Wisconsin Department of Natural Resources, Great Lakes Indian Fish and Wildlife Commission and the U.S. Forest Service. Their study found that martens transplanted to the Chequamegon National Forest contributed only nominal genetic variety and, in fact, had a high rate of inbreeding that could lead to reduced - not greater - genetic variability. "Our findings show that augmentation had limited effects on future viability, indicating that the recovery of Chequamegon martens has not been achieved," the study indicated. Therefore, although augmentations may improve the odds of avoiding short-term extinction, the martens' long-term survival in the national forest probably won't happen without addressing such environmental factors as the need for better habitat connectivity with established populations in neighboring Ottawa National Forest in Michigan's Upper Peninsula and Nicolet National Forest in northeast Wisconsin. By contrast, in the Nicolet National Forest in northeastern Wisconsin, research suggests that natural immigration and greater connectivity with the Upper Peninsula may benefit martens, according to Manlick. As the study noted, "Due to their excessive top-down effects, mammalian carnivores are of particular conservation concern and among the most frequently translocated species. Unfortunately, the continued decline of carnivores has necessitated calls for enhanced restoration efforts." Manlick said, "The two principal criteria for an augmentation should generally be: Is there any sort of inbreeding or genetic limitation? Second, we know doing it with a social animal like wolves is more likely to succeed than with a solitary animal like the marten." Essential to help ensure success are sufficient habitat and the availability of sufficient prey - Wisconsin's martens eat primarily shrews that they kill and deer that they scavenge - to sustain a growing population. Those factors can be modeled before undertaking a translocation to "optimize the likelihood of this succeeding," he said. This article was originally published on Aug. 1, 2017 by Great Lakes Echo, which covers issues related to the environment of the Great Lakes watershed and is produced by the Knight Center for Environmental Journalism at Michigan State University. WisContext is a partnership between Wisconsin Public Radio, Wisconsin Public Television and Cooperative Extension.